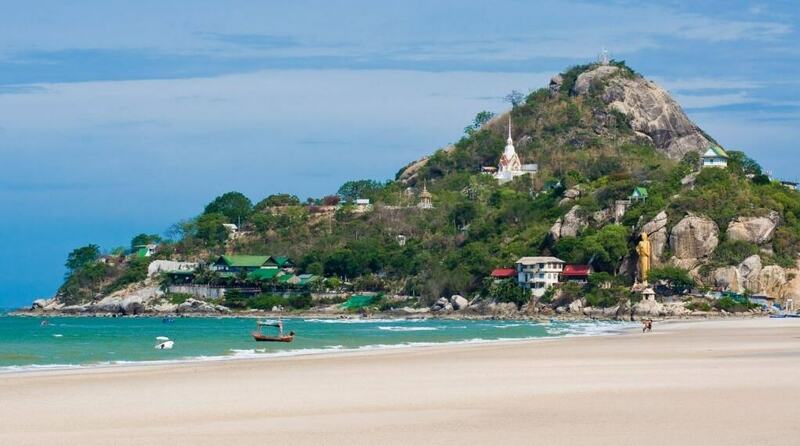 Hua Hin is a beach-side town, family oriented and relaxing for those who wanted to have a peace of mind. This town traces its aristocratic roots to 1911 when royal family built their homes here. 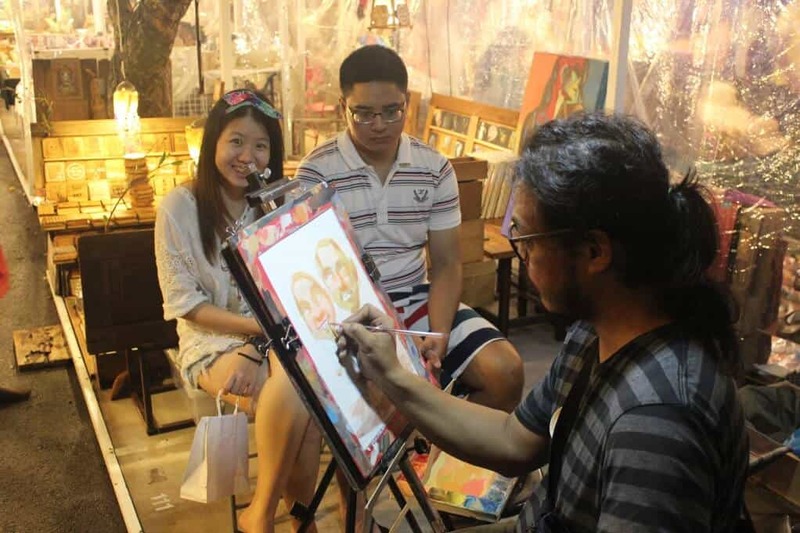 Hua Hin attractions includes vast beaches, thriving art scene, traditional architecture, scenic hills, caves, water parks, good restaurants which makes Hua Hin has a character of its own. 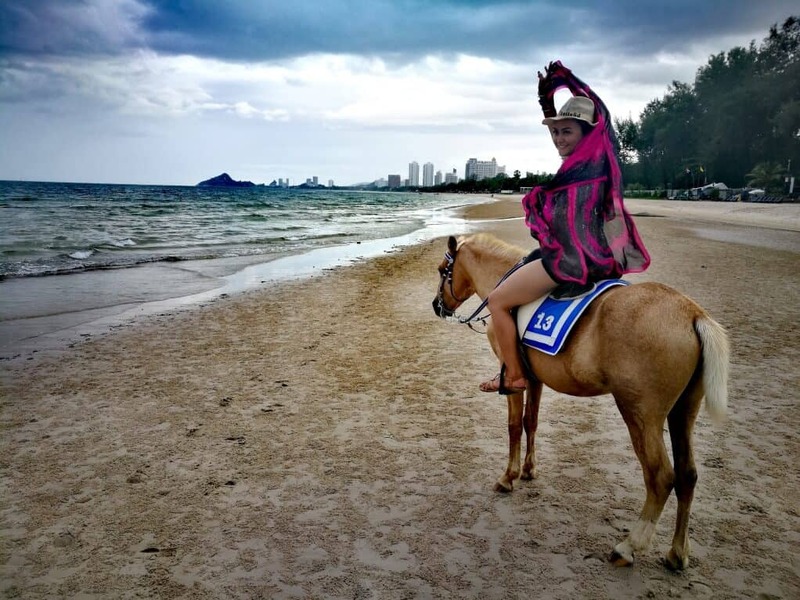 First of all, you can easily access Hua Hin via Thailand Train, direct flight from Kuala Lumpur (Air Asia), 3 hours bus ride from Bangkok or if you’re on two wheels, just ride there! I didn’t had the time to see Hua Hin whilst I was on my 6 Nation’s Borders Ride last year but hey! I have now covered a lot of places (at least most) in my recent trip to Hua Hin. 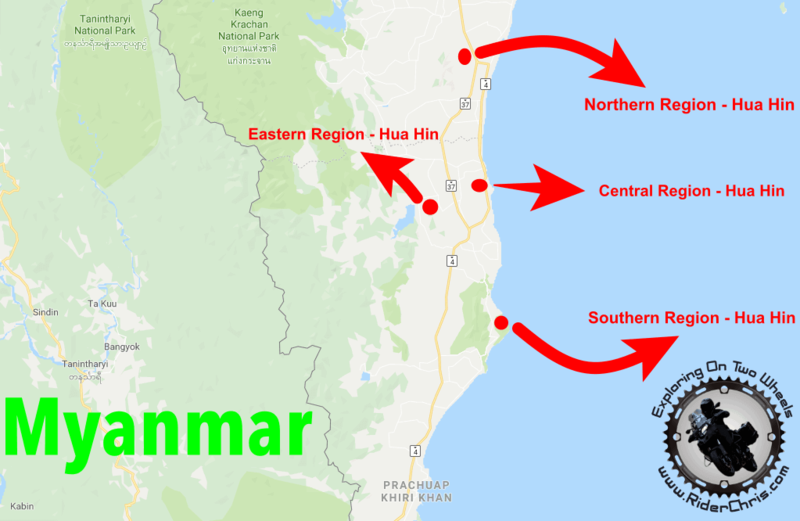 I’ll break the places that I’ve been into Hua Hin’s region as per the map below so it would be easier for you to plan your trip. Hopefully this will be helpful. 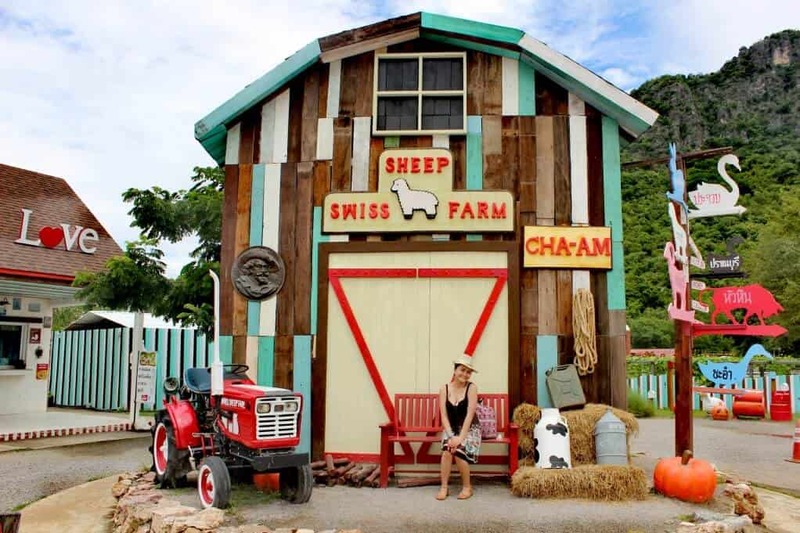 Swiss Sheep Farm – Small animal farm, but good enough for you to spend 1 to 2 hours walk around, take photos, relax village feeling. Entrance fee is THB 150 for adults. Google Map Location. Santorini Park – It is a good (tourist) shopping place with good architecture like in Santorini, Greece. All color is in white combination with blue, pink and green. Good place for those who love taking pictures. There are also some games that you can play. Entrance fee is THB 150 and it comes with 1 free game. Google Map Location. 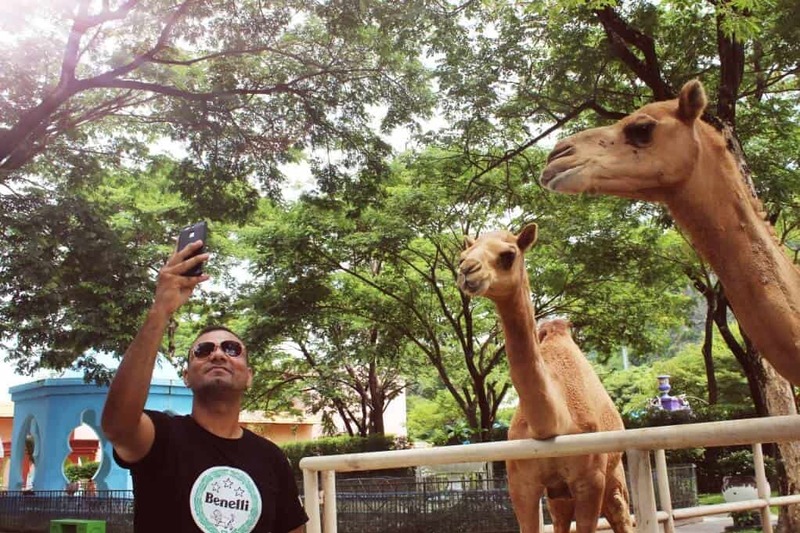 Camel Republic – It’s a mini zoo with fairly small theme park. Great place for kids to enjoy feeding food to giraffe, camel, birds and other animals. They also have some activities for teenagers in their theme park which teens would have enjoyed. Entrance fee is THB 150. Google Map Location. 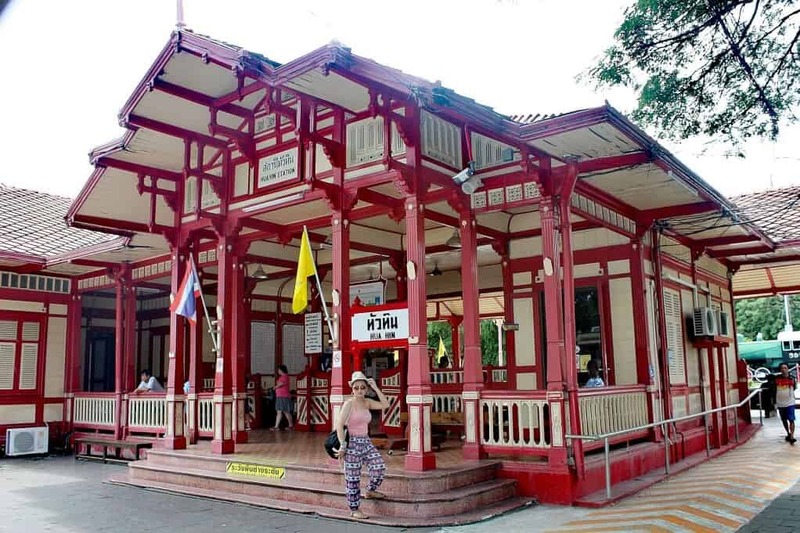 Hua Hin Railway Station – A must visit if you’re in Hua Hin. 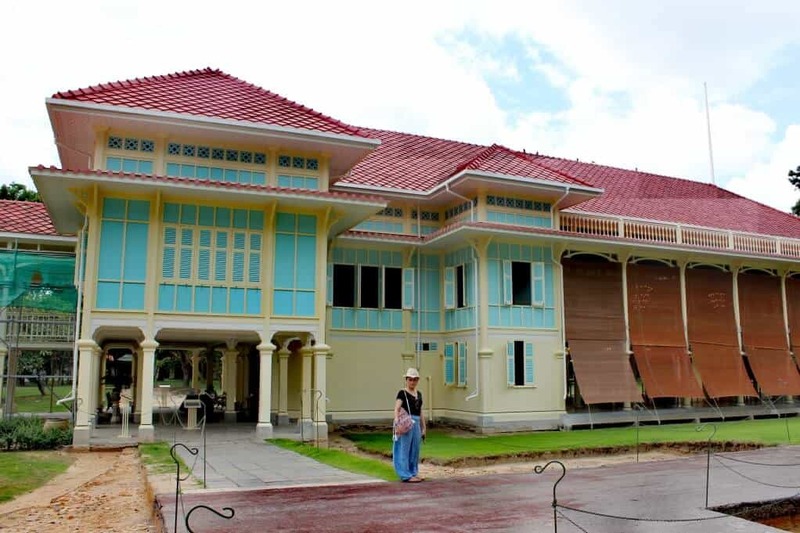 It’s built back in the reign of King Rama VI, the architecture of this station is beautiful and it also one of the oldest train stations in Thailand. It’s located in the center of town, ticketing counter opens 24/7 and their staff speaks good English. No entrance fee (free). Google Map Location. 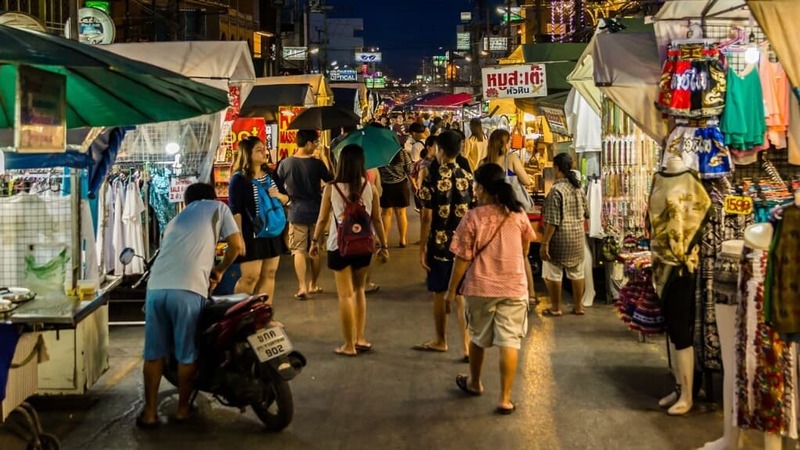 Hua Hin Night Market – Best market in Hua Hin. You will finish your day there with buying some local products, eating cheap food and don’t miss the massage, especially foot massage. There is a nice train pub next with bands. Google Map Location. 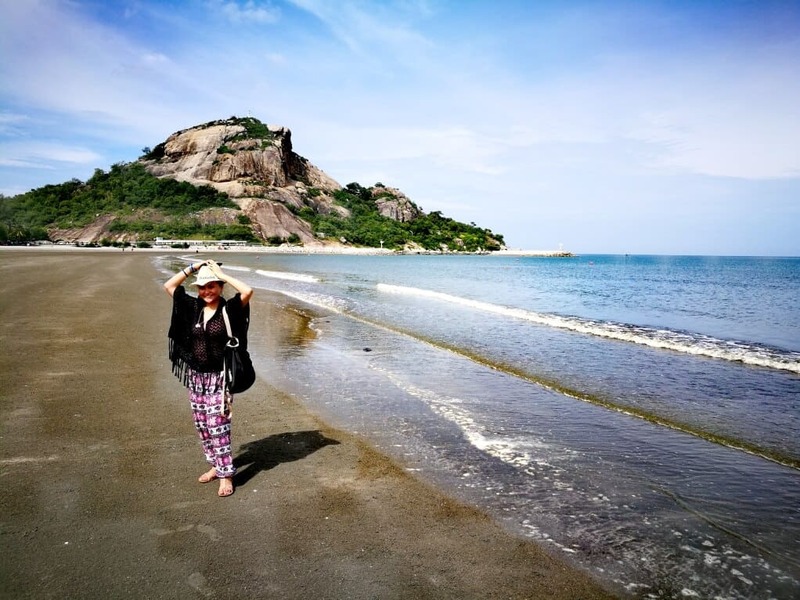 Hua Hin Beach – Nice beach and rarely very crowded. Even on weekends, It has long stretch for a great walk and you’ll have loads of space. Restaurants + Sun-loungers if you want them and kite surfing are all here. Horse/ponny ride is at THB 300 (15-20 minutes). Google Map Location. 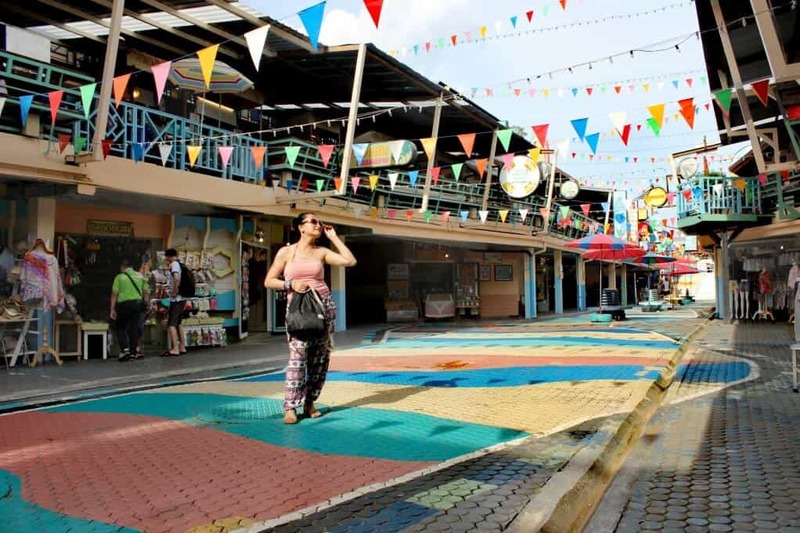 Mercado de Plearnwan – A place ideal to visit at evening. Colorful lighting, varieties of food & snacks. You can do shopping for some stuffs as well. Parking is available and there is no entrance fee. Google Map Location. 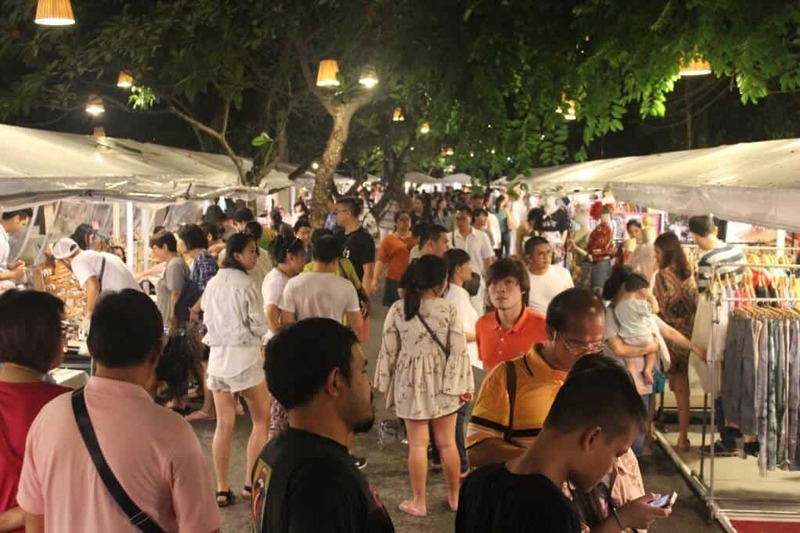 Cicada Market – Great laid back market, festive atmosphere. Good selection of varied crafts, together with reasonably priced food selection (using a coupon system). A few of the food stalls were happy to make vegetarian versions (e.g. pad Thai). Live music was also nice. The atmosphere is much more relaxed than the night market, and unlike most markets there was plenty of room and places to sit. Opens only Friday & Weekends. There is no entrance fee. Google Map Location. 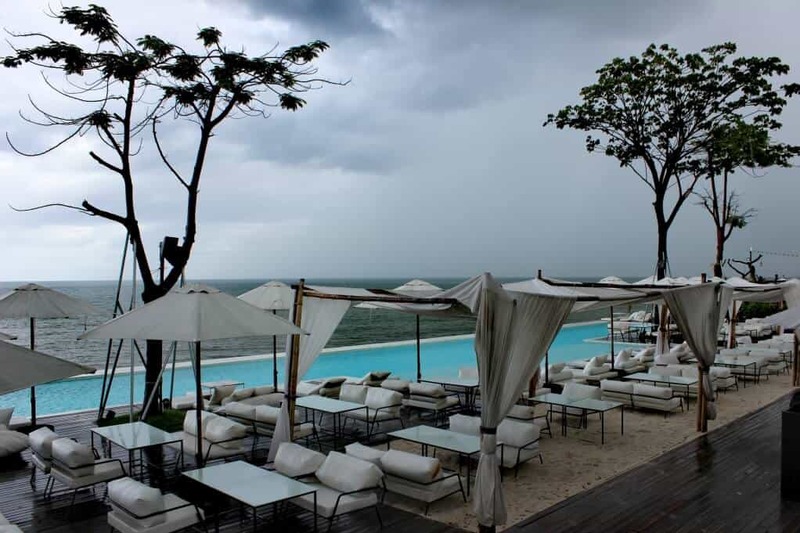 Oasis Bar at Seen Space – Wonderful seaside walk and shopping mall. Plenty of good shops, cafe and restaurants. 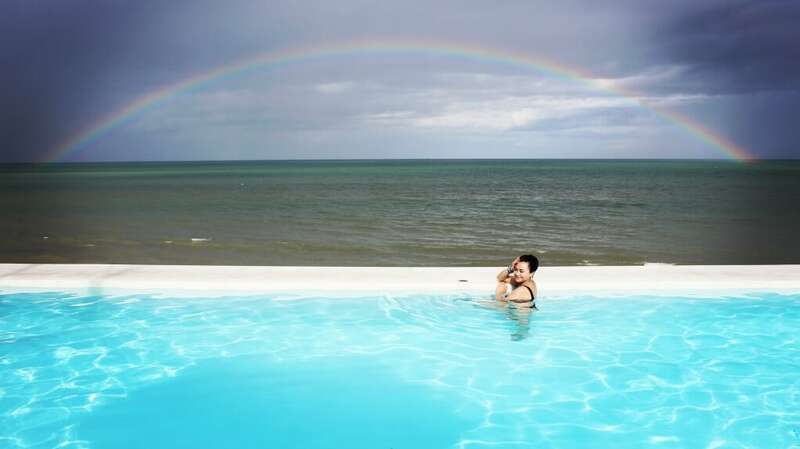 There are also good beach bar which provides free use of infinity pool next to the beach. Truly relaxing place and good place for photography. Google Map Location. Khao Takiab Beach – A nice clean beach with no rocks in the water like the main beach in Hua Hin. Google Map Location. 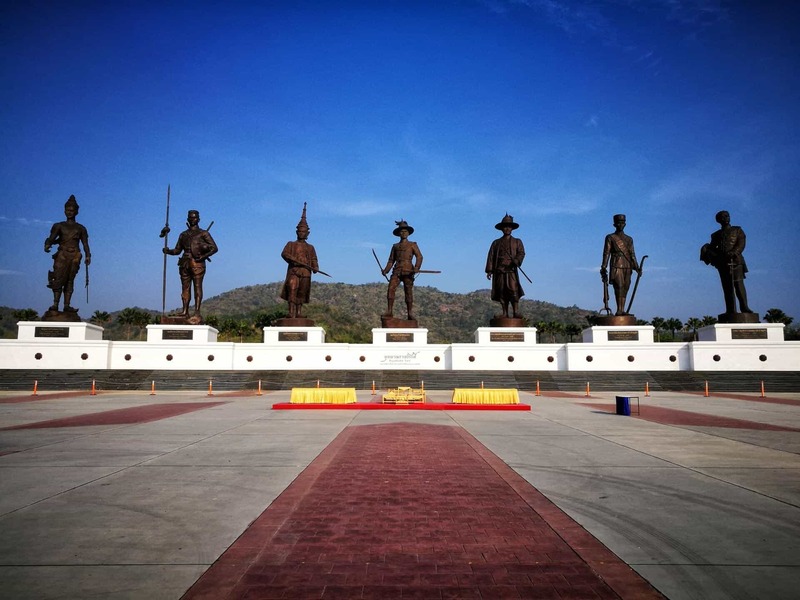 Rajabhakti Park – Is a historically themed park honouring past Thai kings from the Sukhothai period to the current royal house of Chakri. Google Map Location. 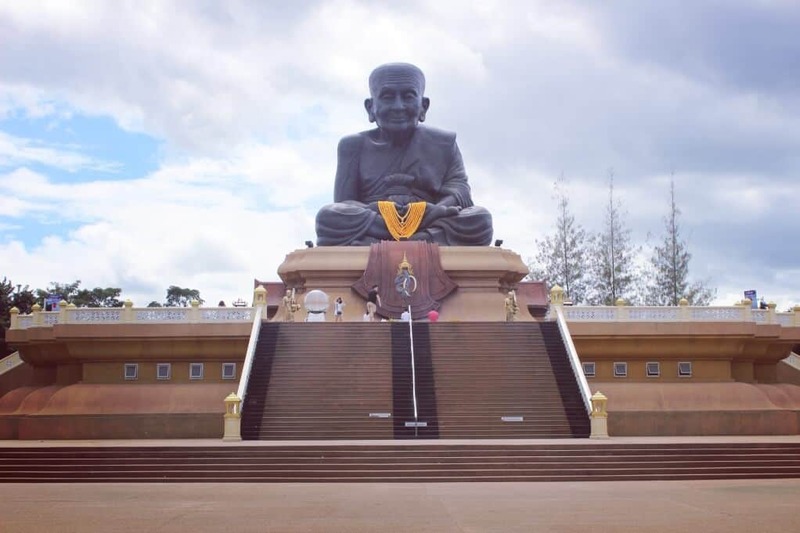 Wat Huay Mongkol – This Buddhist temple is home to the world’s largest statue of Luang Phor Thuad, a legendary southern Thai monk revered for his enlightenment and ability to perform miracles. Many believe that the amulets created in his image guarantee safety in times of distress. Google Map Location. 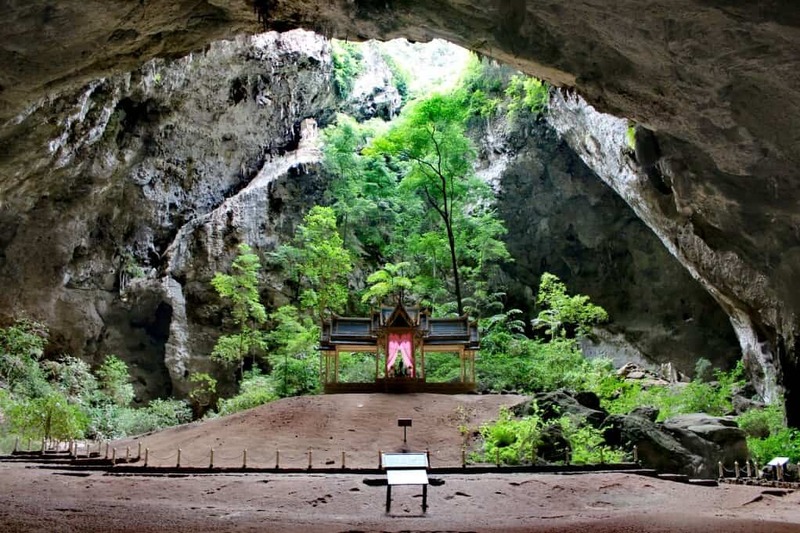 Phraya Nakhon Cave – is part of the Sam Roi Yot National park. It’s an amazing cave with iconic view of Thai pavilion surrounded with cave wall and sunlight from above. When you reach here, you have two options which you can either take a boat ride (THB 400 per boat for return trip with max of 6 pax) which you can skip the 1.5 KM walk and start trekking to the cave for 430M or Just do the 2KM walk + trekking to the cave. I would suggest that you go early morning when the crowd is less and it’s not hot. 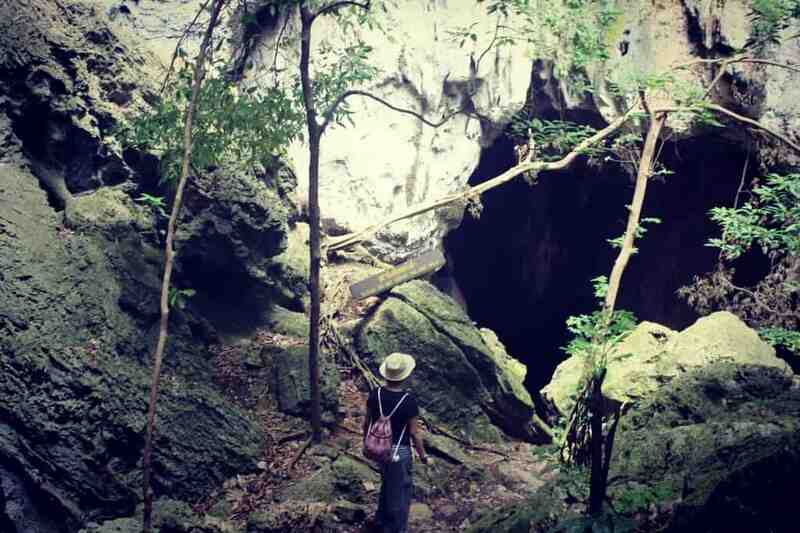 The entrance fee is THB 200 which not only covers this cave but other places within the Sam Roi Yot National park. Google Map Location. 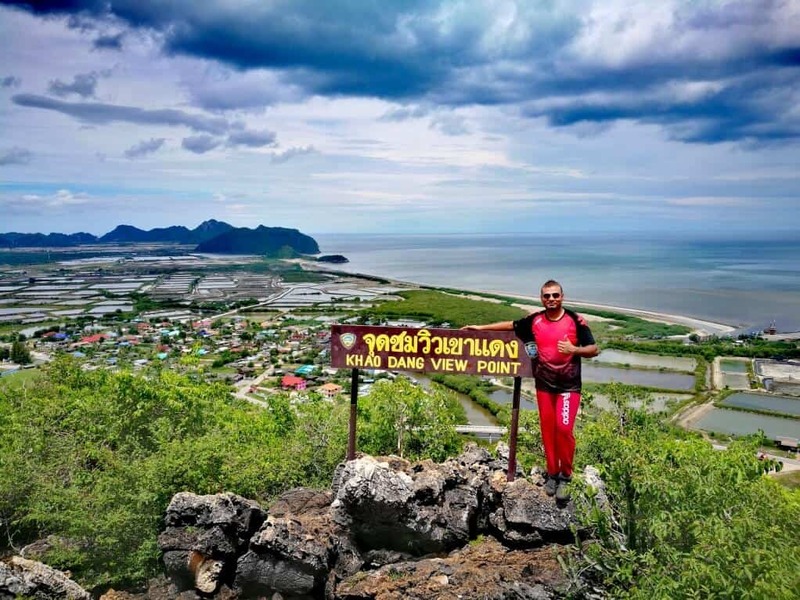 Khao Daeng View Point – is part of the Sam Roi Yot National park. I personally found this the best part of Khao Sam Roi Yot National Park because there were less people here so I really felt like I had the entire area to myself. That being said, this is NOT an easy hike because the paths are steep and made up of large rocks, so do not go for anything less than a proper pair of shoes with a good grip. Nonetheless, it is truly a rewarding experience at the end upon reaching the top. You can use the same ticket that you bought for Phraya Nakhon cave here. Google Map Location. 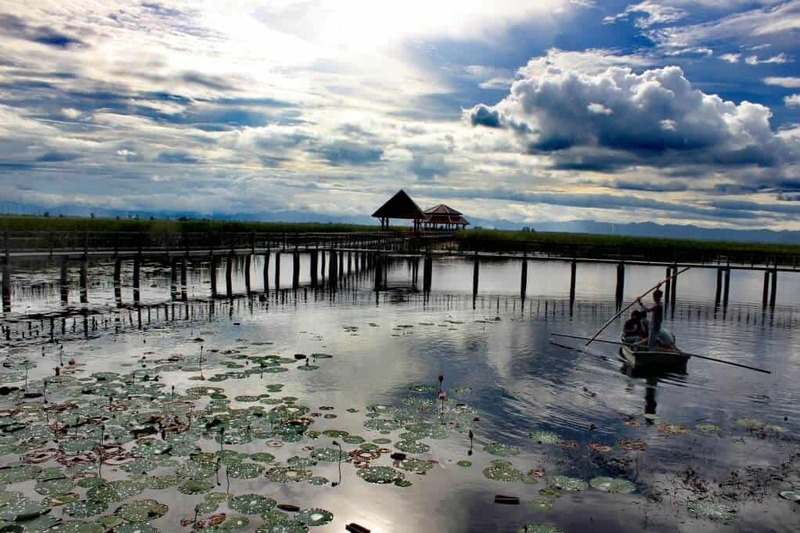 Buang Bua Wood Boardwalk – is part of the Sam Roi Yot National park. It is quite breathtaking and unusual. Beautiful wetlands with a wooden walkway. Spectacular mountains in the nearby background. Serene nature with birds, fish, fresh air, away from city, traffic and noise. You can use the same ticket that you bought for Phraya Nakhon cave here. Google Map Location. 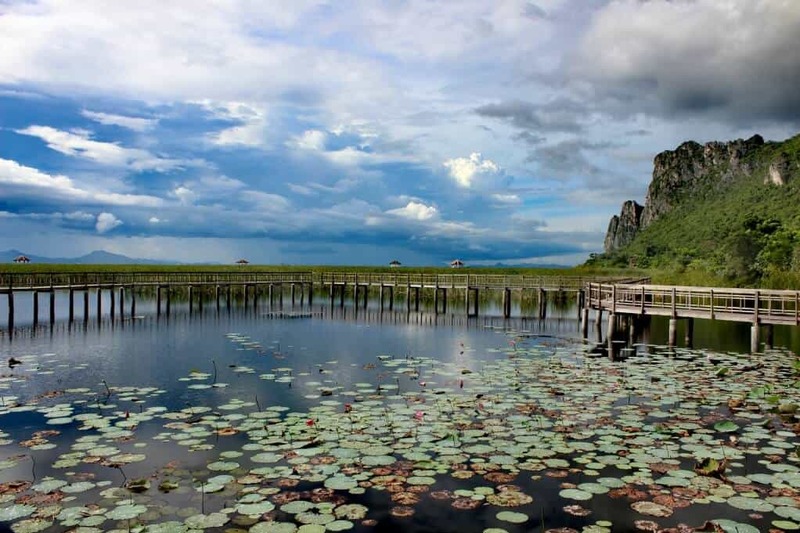 Below are some other places to go in Hua Hin. Honestly, I haven’t been to these places as I was not interested (just me) but it may just suit you. 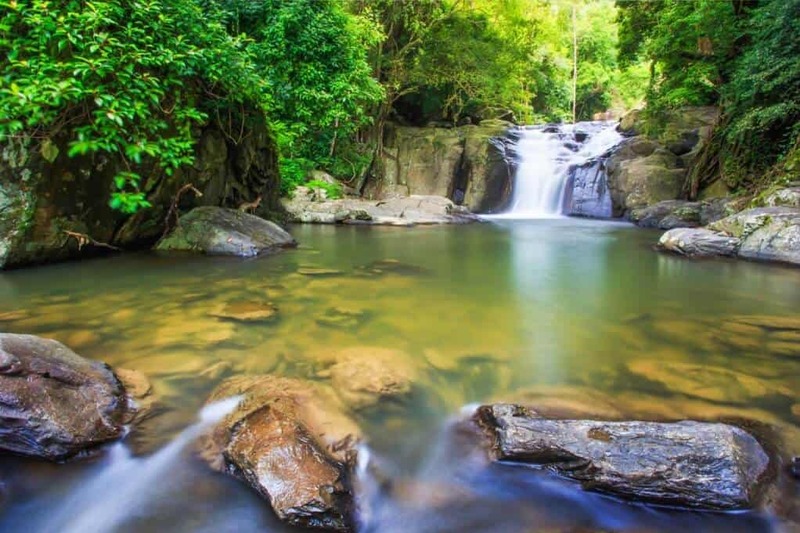 Pala-U Waterfall (Hua Hin – Eastern Region) – Approximately 1 hour drive from Hua Hin city center and it seems to be a good places for refreshing with nature in a quiet place. Google Map Location. Wat Khao Takiap (Hua Hin – Central Region) is a Buddhist temple on a hill. You can get nice Hua Hin city & beach view at the top hill but just beware of the monkeys. Google Map Location. 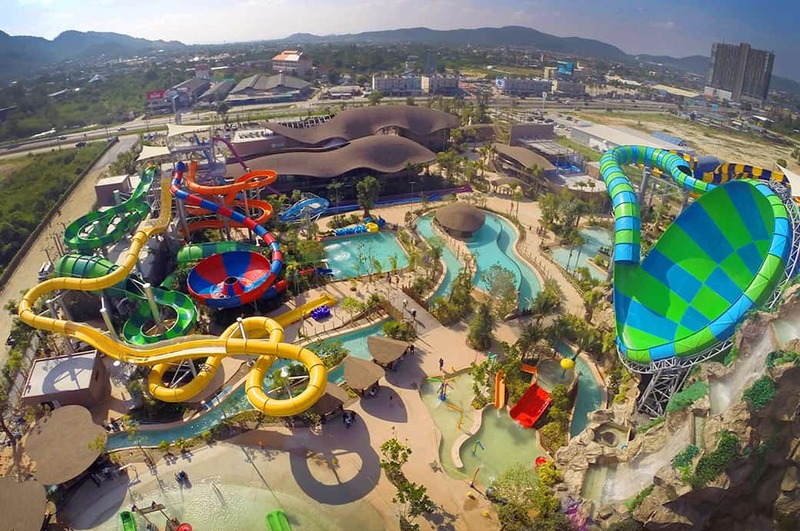 Vana Nava Water Park (Hua Hin – Central Region) The name says it all. You can have great fun at the water park here. Good positve reviews online and the entrance fee is said to be at THB 1000 bath for adults and THB 600 for kids. Google Map Location. 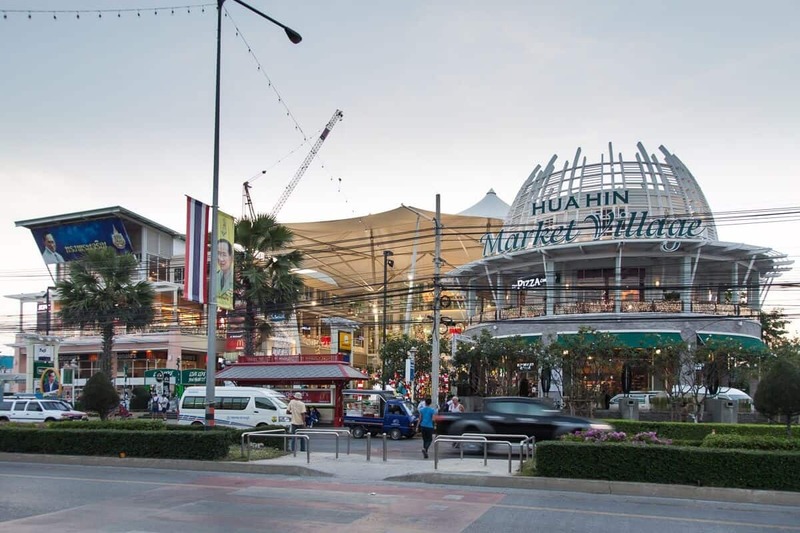 Market Village Hua Hin (Hua Hin – Central Region) Large and beautiful mall with a lot of variety in outlets, there’s a big supermarket in the back, also a food court, and of course the usual fastfood outlets (McDonald’s, Burger King, KFC etc). Google Map Location. 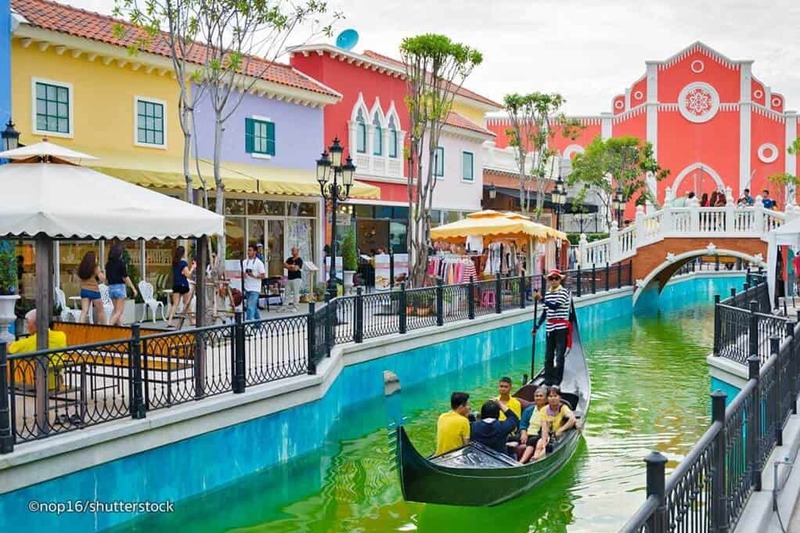 Venezia Hua Hin (Hua Hin – Central Region) The Venezia is a small type of theme park trying to replicate the town of Venice in Italy. Cost for entry to all rides and features is THB 480. Google Map Location. That’s a wrap for my trip to Hua Hin. 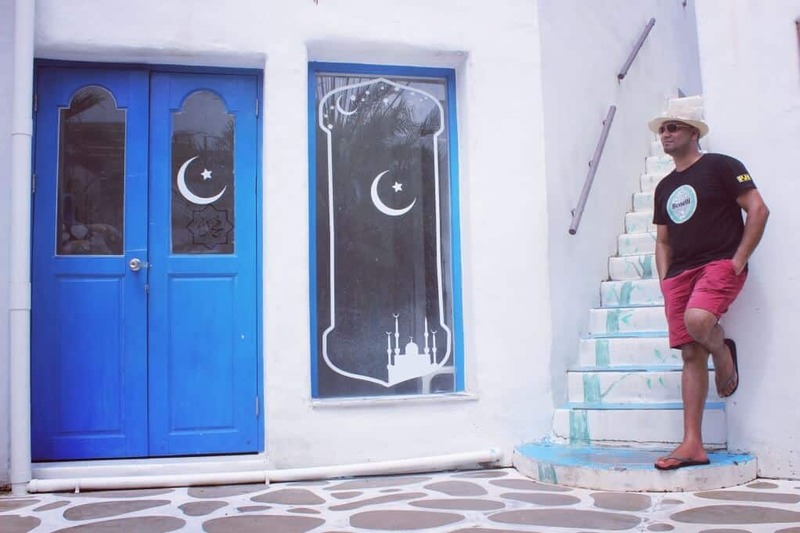 I would suggest that you spend 4 to 5 days (at least) and breakdown on the places that you want to visit based on regions, i.e. North, South, East etc. This will ensure you don’t go back and forth the same route twice. You may also want get yourself/family covered by getting a Travel Insurance as accidents do happen and they also seem to happen when you least expect it & least need it. Medical bills can cost a fortunate abroad and with good travel insurance, you can have a peace of mind. so please, if you don’t do it for yourself, do it for your loved ones. If you find this article is helpful, please share via the social buttons. If you have any questions, drop them at the comment box below.